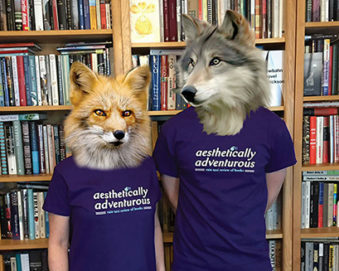 We’re wearing our mission statement on our shirt! 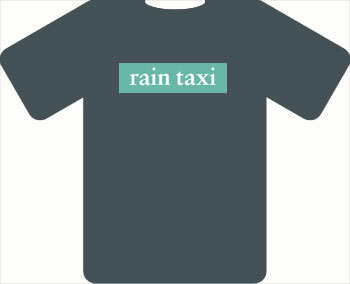 A white and teal design on an all-cotton purple tee. 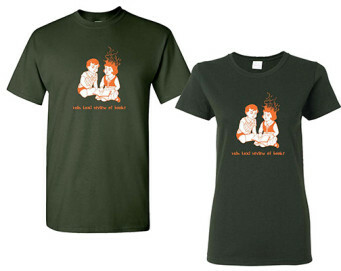 includes S&H in the U.S.
(Can/Mex adds $4 shipping. 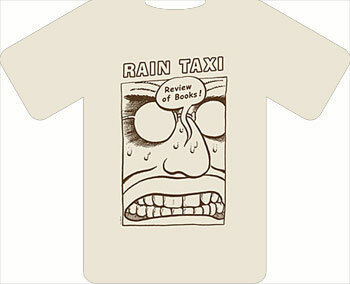 Overseas adds $8 shipping). 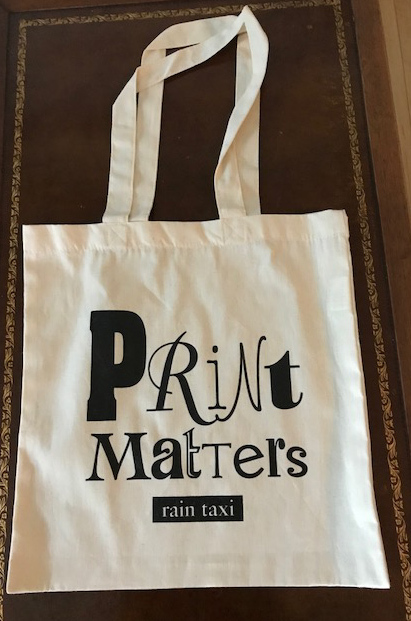 If you agree that PRINT MATTERS, this tote is for you! 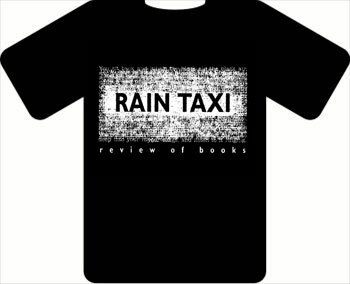 Special, limited edition tote made for the 2018 Print Matters Book Fair. 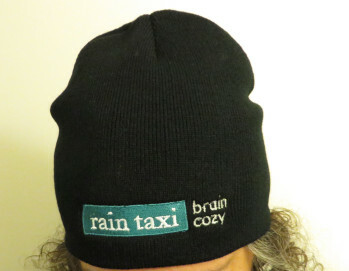 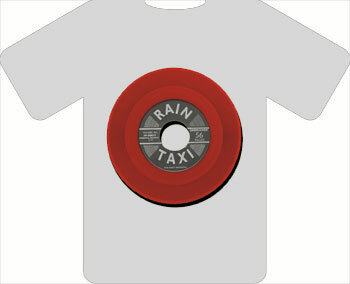 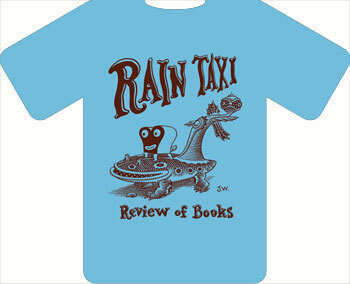 Our brand-spanking-new Rain Taxi t-shirt has a blazing new design by The New Life cartoonist Gary Sullivan! 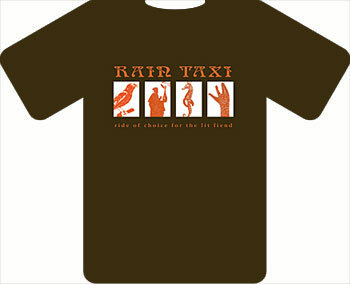 The Rain Taxi “Head on Fire” t-shirt is an all-cotton forest green shirt with a fiery orange and white design. 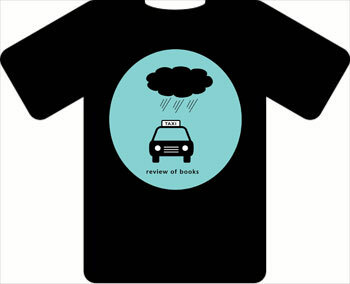 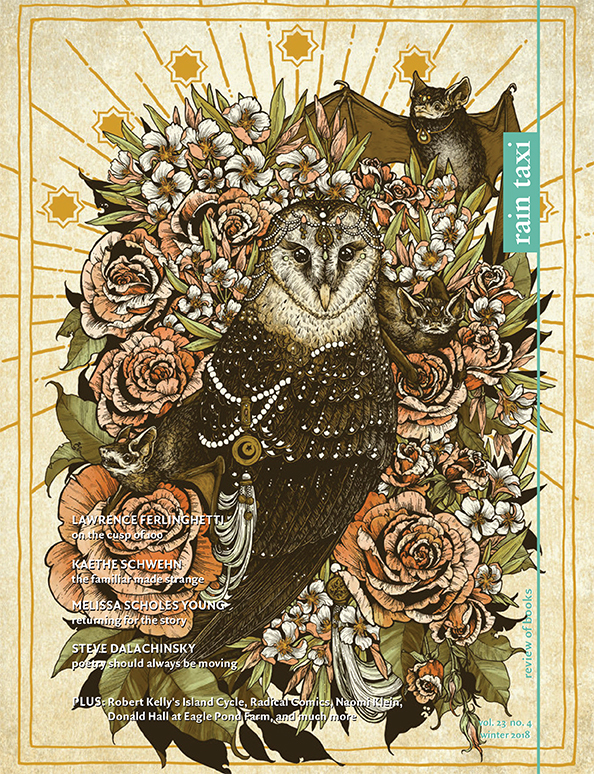 ONLY $20, includes S&H in the U.S.
Feast your eyes on past t-shirt designs from Rain Taxi!